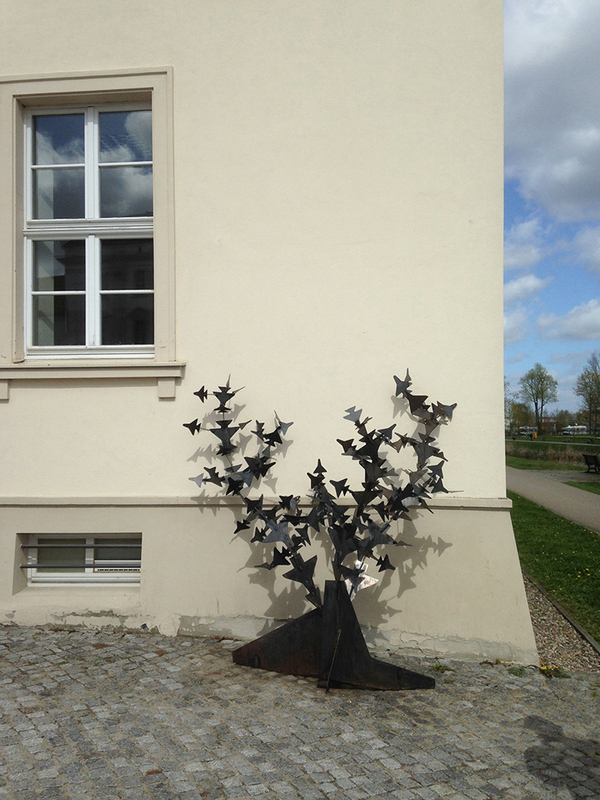 The Thorn was made for the city of Oranienburg, which has a painful history of hosting a concentration camp as well as the bomber airplane industry of nazi Germany. 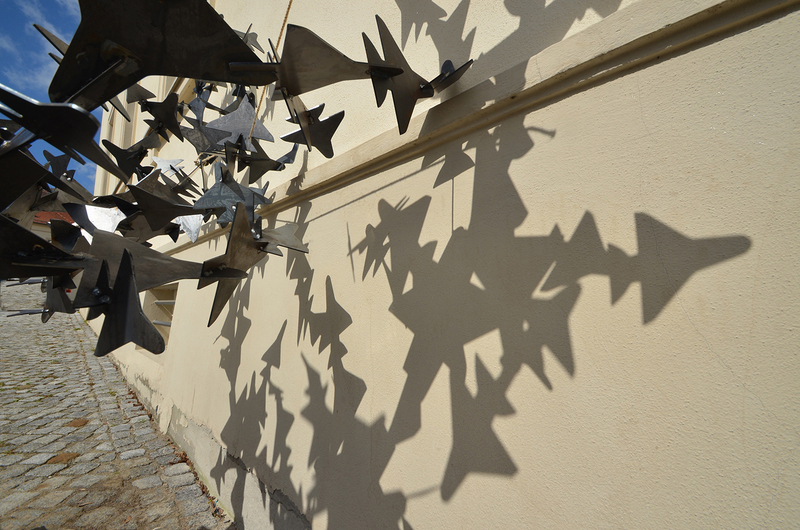 In 1945 the city itself was bombed by allied forces. 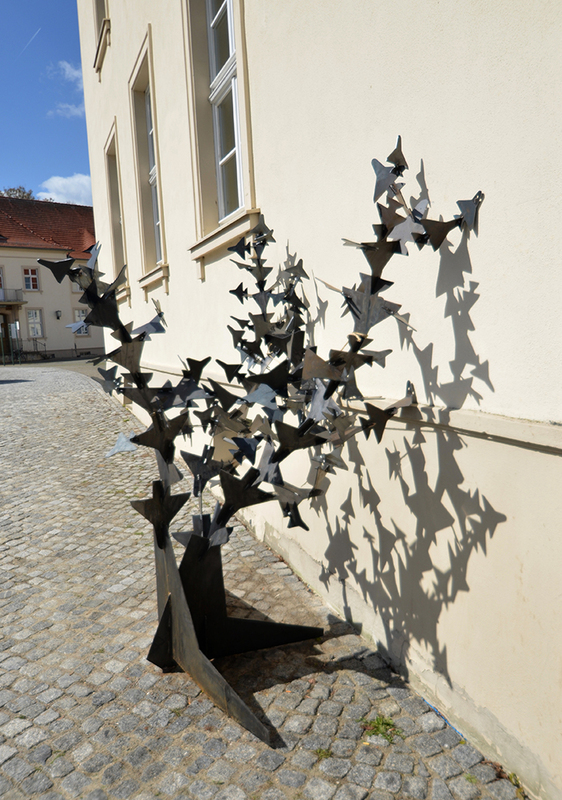 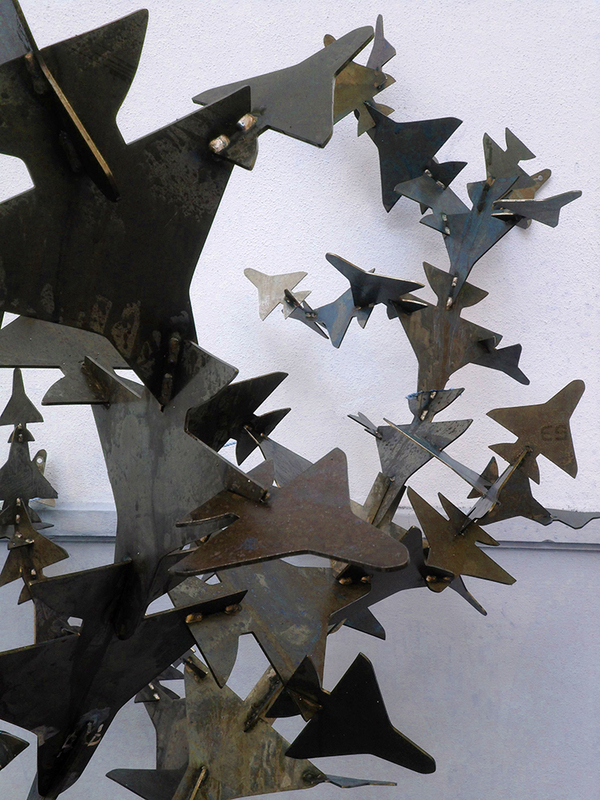 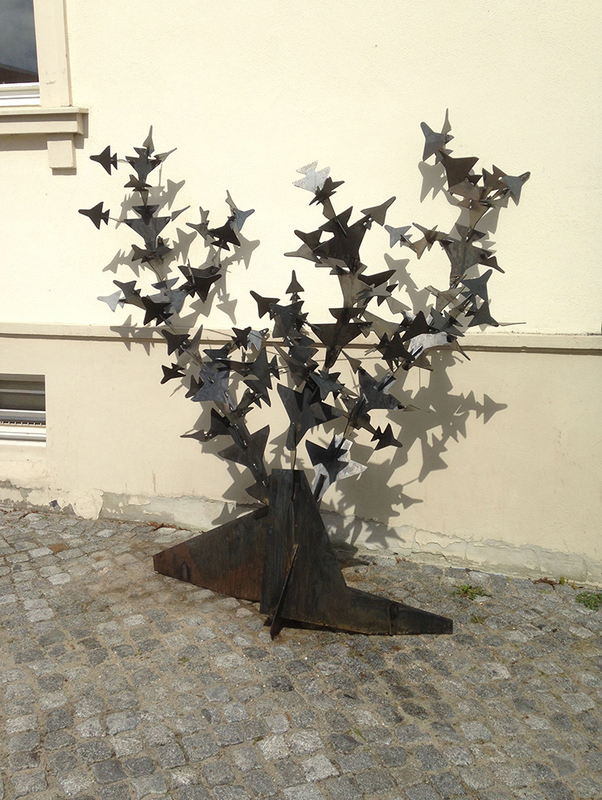 The sculpture is inspired by the real existing plant Colletia Paradoxa, consisting of little airplane wings. 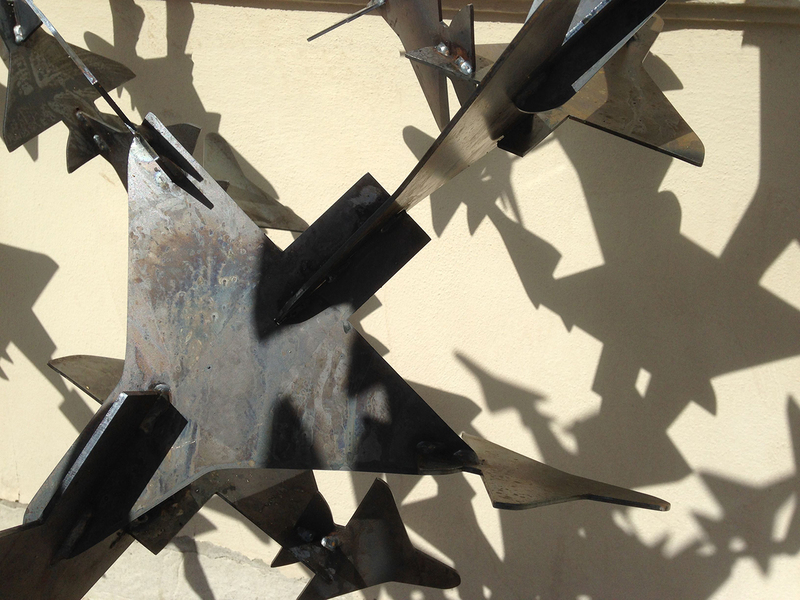 They now rest in movement against the wall of the municipality building.